With the upcoming release of When the Alphabet Runs Green on July 11th, I have been doing a lot of interviews and marketing things regarding this book and answering questions about this book and my other Lyme Disease books. So many of the questions I am asked are questions that I get sent to me daily and so today I thought it would be fun to share a few of these questions and their answers today from an interview that I recently did! Q1. 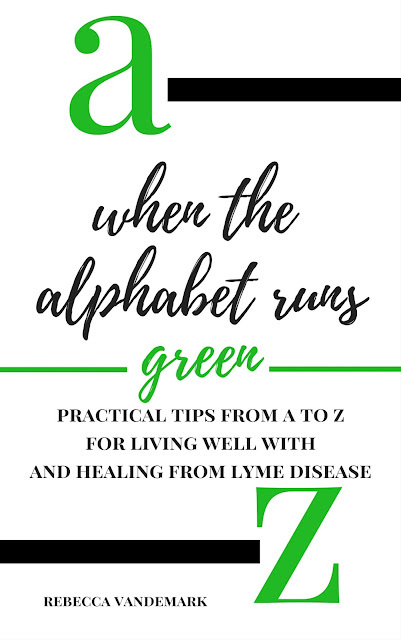 Your new book, When the Alphabet Runs Green which will release on July 11th, talks about practical tips on how to live well with and heal fully from Lyme Disease. The number one question, which I am sure you are expecting, is are you fully healed from Lyme? That is a great question! First, this is a book that was written from my heart that is meant to be a helpful blueprint map for those who are recently diagnosed or for those who have been tirelessly fighting for years without finding healing. I receive thousands of emails, DMs, and messages each week with people asking the same questions on how to improve their health while fighting Lyme so that they can live fully during this season and how they can heal from this disease. I am not a doctor but my hope is that this book will be the treasure of research that I and so many other Lyme patients who have achieved healing (whether complete or on our way to full healing) have found over years and decades of living with this disease. I am not fully healed yet, but am almost there. Q2. What inspired you to write When the Alphabet Runs Green? As I mentioned before I receive thousands of emails each week and most of them revolve around the same questions. I would love to be able to respond to each and every email in detail but many times this is just not possible due to time constraints. My hope with this book was that these questions would all be in one place. Q3. When the Alphabet Runs Green is dedicated to your Lyme doctor and the Lyme clinic where you are a patient at. Did you consult them about this book? No. Absolutely not. In fact, they don't even know I have written it. *smiles* My goal on this book is to simply provide from patient-to-patient a book that could be helpful from a fellow patients perspective. In many other diseases (Cancer specifically) we see so many patient -to-patient books, pamphlets, folders, etc. that are created. This has yet to happen in Lyme Disease world. My hope is that this is the beginning. I am not a medical doctor (as I stated above) and the things and tips that I am sharing are things that I learned over the years or other patients have learned. For those looking for medical advice from books there are so many that are quality books that could be recommended. Q4. Are there any specific ones that you would recommend to patients? Off the top of my head the first two that I would recommend are both by Dr. Richard Horowitz. The first, was published in 2013: Why Can't I Get Better? which was a lifeline to me before I found my medical team that saved my life. The second, published last year- How Can I Get Better? is also an amazing resource that people may find helpful. Q5. The number one thing that I am sure you get consistently asked is if you have any upcoming plans for new Lyme books in the future? I am always so humbled by any questions of upcoming books. As an author you pour your heart and soul onto a page and you hope that it will resonate with someone. So thank you so much for asking this. To answer your question... yes. Currently, Praying through Lyme Disease is being translated into Spanish which I am very excited to share! Then, on May 1st, 2019 my book, When Lyme Invades: Encouragement and Practical Tips for Loving Your Friend through Lyme Disease will be released. 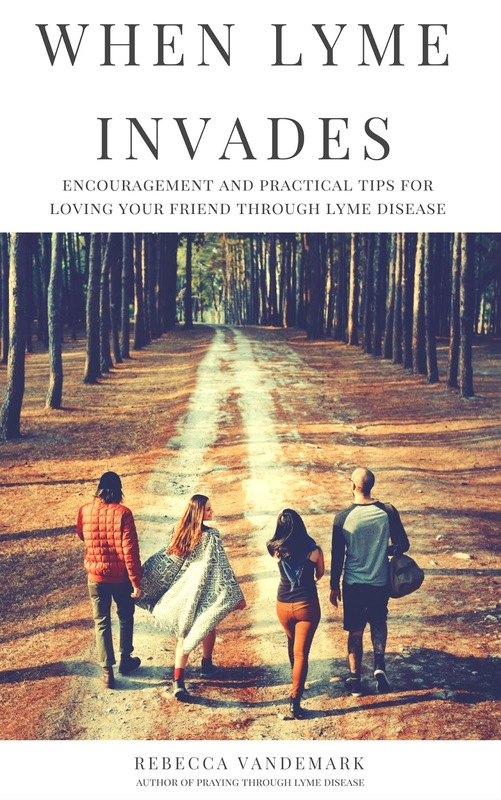 I am really excited about this book as so many wonderful people helped contribute their own experiences alongside mine to really give a great picture of how people can love a friend through their journey with Lyme. I know that many people (including myself at one point) feel that this is an isolating disease. My hope is that this book will help to break that cycle and provide people with a practical resource to help them walk alongside their loved ones. Then in 2021, my book, When Church Meets Lyme, is slated to release. As time draws closer I look forward to sharing more details! If you are interested in keeping up with upcoming book releases you can find more information on my personal website HERE. Q6. I have heard rumors that you will be releasing your own Lyme story in the future? Yes. In 2020, my book, When Girl Met Lyme will be released. At this point I can't share more details, but I look forward to sharing more in the future! Q7. We can't wait to hear more about that. Did you always want to be a writer? Before I got sick, I dreamed about writing "someday". I was always dreaming up stories and writing down ideas, but I truly believed that would be something I would do in the "future". I think that I saw myself in my 50s and 60s writing... definitely not in my early thirties and definitely not from my bed sick and in pain. Q8. 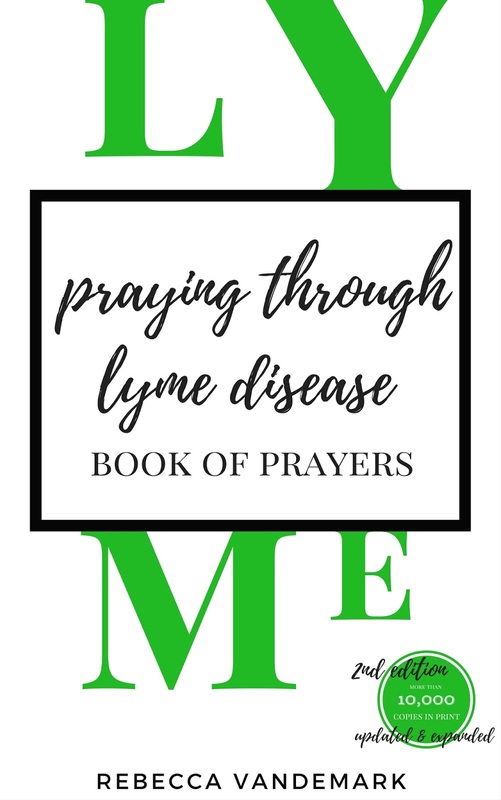 Have you been surprised at the reception that your first book Praying through Lyme Disease has received? Absolutely yes. I am always speechless when I receive comments and emails regarding the book. Just yesterday I received the sweetest email thanking me for this book from a mom who is struggling through Lyme as are her 4 kiddos. These types of messages not only warm my heart, but humble me completely. I continue to hope and pray that it is an encouragement for anyone walking through this disease. Q9. You mentioned that Praying through Lyme Disease is being translated into Spanish. Why did you choose Spanish and are their future plans for additional translations? A few months after Praying through Lyme Disease was first released in 2014 it was translated into Polish. This came about through a doctor who wanted to use it as a resource and it has been a wonderful collaboration. Over the years I desired to see it translated into other languages, but the timing never felt quite right for a variety of reasons. This collaboration to translate into Spanish came about with a wonderful translator and her passion for this book and the disease were priceless. I am so excited about this as I receive at least a hundred emails a week from those living in Spanish speaking countries who are struggling to find encouragement (and resources) in their native language. As far as future translations... I would like to see it translated into a few others and I will keep you updated! Q10. What has been the most difficult book so far to write? The most difficult? I would probably have to choose my latest release, When Truth Refreshes. 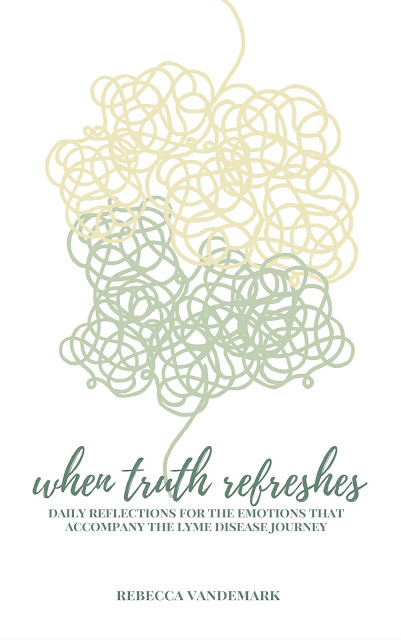 When Truth Refreshes is a book of daily reflections for the emotions that accompany the Lyme Disease journey. It was difficult to write because the subject matter and my writing was very raw and honest in sharing personal stories about all of the different emotions that are faced in the journey. One reader commented that it was like I had "opened up my heart and let it bleed on all of the pages". I couldn't describe it more accurately. It was incredibly painful to go back to some of the darkest hours of my life and re-live them and yet it was incredibly therapeutic. I love that little book and it definitely is written from the deepest parts of my heart. Q11. 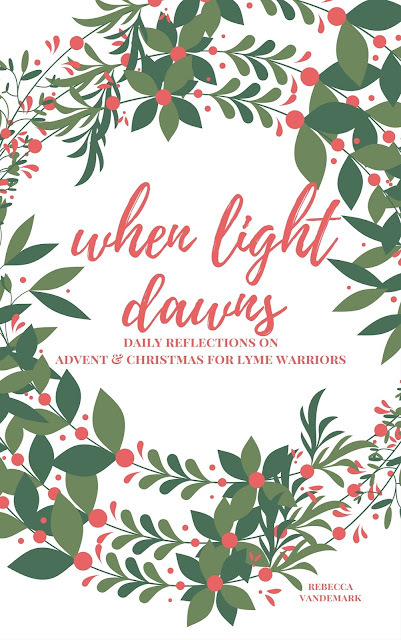 What is one of your favorite Lyme books that you have written? Ooohhh... that is a really tough one because as an author you fall in love with each of your books in different ways. Hmmm... if I had to pick just one it would probably be When Light Dawns (my Christmas Devotional). This is a very personal reason, but I had always treasured the Christmas season and loved to do all things Christmas related. When I got sick with Lyme all of those things were lost. The holidays became increasingly painful and there were more tears than joy. In writing this book I truly found the light in the darkness and it truly was a beautiful blessing to me and has become one of my favorite books that I have written. 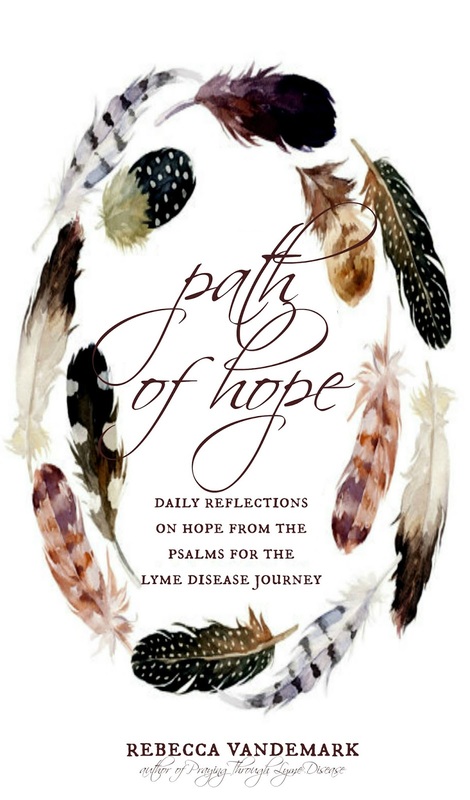 A close, close 2nd would definitely be Path of Hope though which was my 2nd Lyme book I wrote. Q12. I have heard rumors that there is a change that will happen with Path of Hope? Yes. The 2nd edition will be released in a few short months and at that point it will undergo a name change among other updates. I look forward to sharing with y'all more in the upcoming months! Q13. Thank you so much for taking time to talk with us today. In closing, is there anything that your fans and readers can do to support your work? Thank you so much for taking the time to talk with me! I am truly honored! The support that I receive from my readers is invaluable. It is truly priceless. I am so grateful for each and every message and email and letter that I receive. The one thing that is a huge help to any writer are reviews. The number one thing I consistently ask is that people take the time to leave a review on a book that they have read. 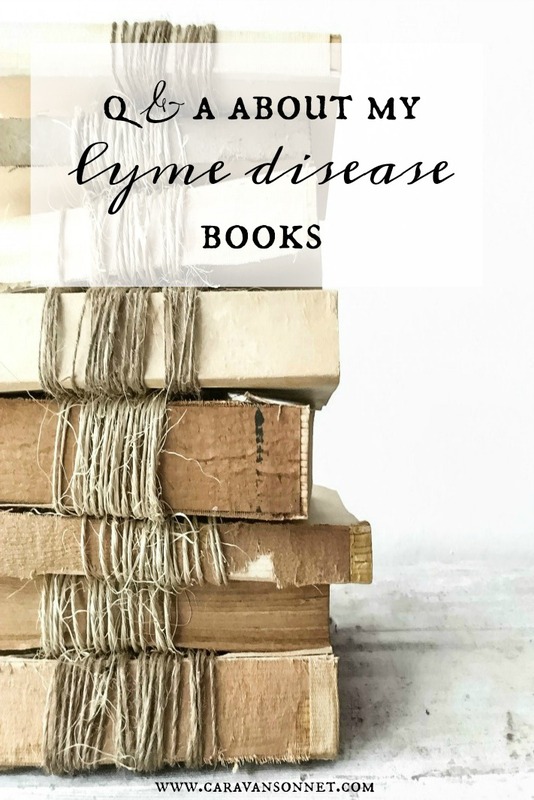 Especially in Lyme Disease world, where money is so tight, it is incredibly helpful for other patients who are considering spending their precious pennies to purchase a book if they read a review from another Lyme patient. It doesn't have to be long- even short reviews are helpful. For those who are reading and may be interested in doing this I am leaving the direct links to the books above- THANK YOU!! Thank you so much for reading friends! It was fun to share this interview with y'all!! Please let me know if you have any questions! I hope y'all have a wonderful Thursday! You have so many awesome books coming up in the next few years! I'm so excited for you, sweet friend! Aww thank you so much for stopping by and taking the time to read and leave a comment friend!! You are the best! Happy Friday! I hope y'all have a wonderful weekend!